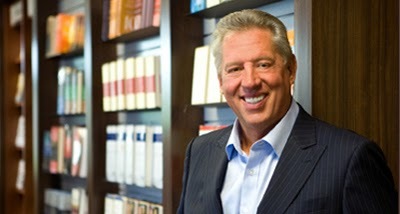 The following comes from John Maxwell's outstanding book, "Sometimes You Win, Sometimes You Learn." It's a must-read for coaches and teachers. The following will be a passout for our team tomorrow. People with a teachable spirit approach each day as an opportunity for another learning experience. Their hearts are open. Their minds are alert for something new. Their attitudes are expectant. Up to 85 percent of success in life is due to attitude, while only 15 percent is due to ability. Everyone has something to teach me. Every day I have something to learn. Every time I learn something, I benefit. "I am your constant companion. I am your greatest helper or heaviest burden. I will push you onward, or drag you down to failure. I am completely at your command. Half of the things you do, you might just as well turn over to me, and I will be able to do them quickly and correctly. I am easily managed—you must merely be firm with me. Show me exactly how you want something done and after a few lessons, I will do it automatically. I am the servant of all great men; and alas, of all failures, as well. Those who are failures, I have made failures. Those who are great, I have made great. I am not a machine, though I work with all the precision of a machine, plus the intelligence of a man. You may run me for profit, or run me for ruin—it makes no difference to me. Take me, train me, be firm with me, and I will place the world at your feet. Be easy with me and I will destroy you. Who am I? I am a habit." Improving with "baby steps" is nothing new. But as coaches, do we do a good enough job of explaining and outlining this to our team? Often, when looking at the need for improvement to get your team to the next level, it can often seem staggering when all that is needed is for each player to improve a little. If you can get each player to buy in and improve a little in one phase of their game over the course of a season (or in the off-season), it can mean a dramatic improvement for your team. 5. How can we get to the free throw line more? Now if you improve ever so slightly in those five areas listed above, it could dramatically improve you ability to score. 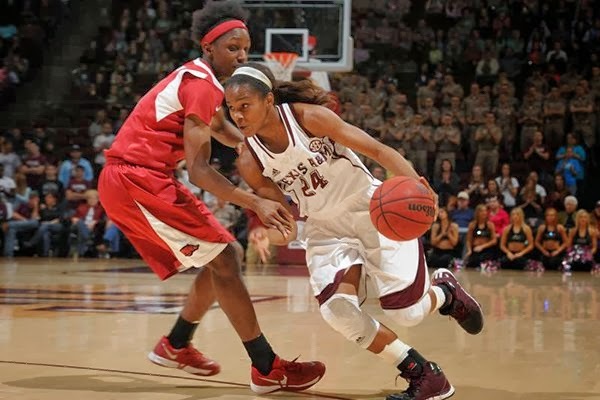 It is a much more effective approach then pressuring your team to "make shots." You can take this approach in wide variety of ways in regard to your team's play. Tom Thibodeau rides his players hard. He plays his starters a ton of minutes, asks everyone to defend physically and doesn’t tolerate loafing. 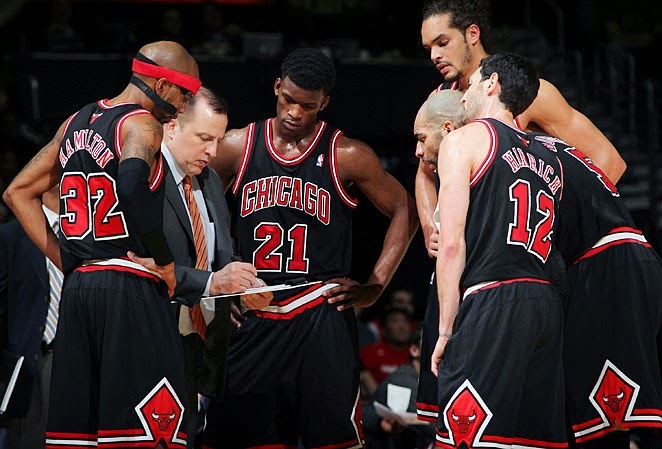 In many ways, Thibodeau seems more like a college-style coach than an NBA coach. Of course, Thibodeau is an NBA coach with NBA players, some of whom have more power in the Bulls organization than Thibodeau. It’s an organizational structure full of landmines, especially with a potentially grating coach like Thibodeau. How does he make it work? 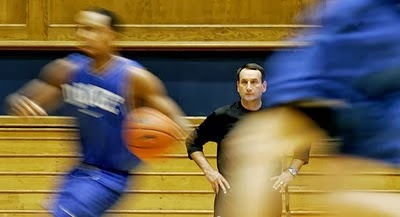 Coach K’s perspective took a major turn when, having grown up in male-dominated cultures, he found himself outnumbered at home by his wife, Mickie, and their three daughters. Every night at dinner he observed how Mickie and the girls reconnected by sharing the details of their day, including how they felt about it. Whereas guys cut to the chase in conversations, Mickie and the girls invested time each day. 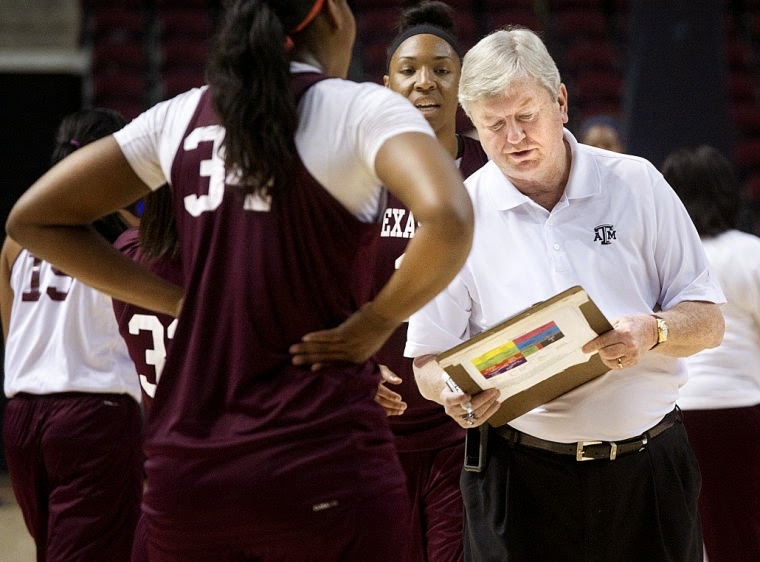 One of the things I learned early as a coach was that you truly get what you tolerate. It was important that you had in mind that which you must accomplish to be successful and that you demanded the effort -- mentally and physically -- from yourself and those around you on a daily basis. The most influential people in my life was my father and my junior high coach Allen Osborne. Both were very demanding in their expectations of me. I didn't always enjoy those moments when I was held accountable but I always respected them and now have a greater appreciation for what they were not only trying to accomplish at the time, but teach me for later in life. 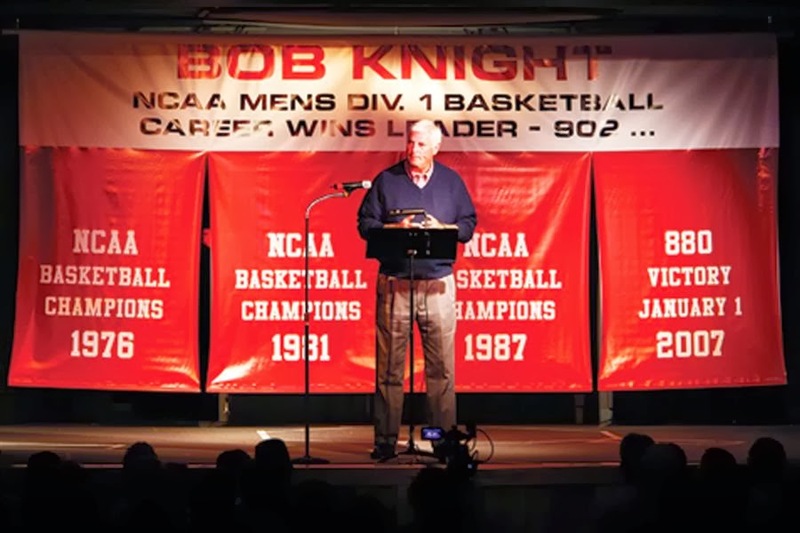 The following are some thoughts in being demanding from Bob Knight in his book "The Power of Negative Thinking." The key to consistent execution is to be demanding. 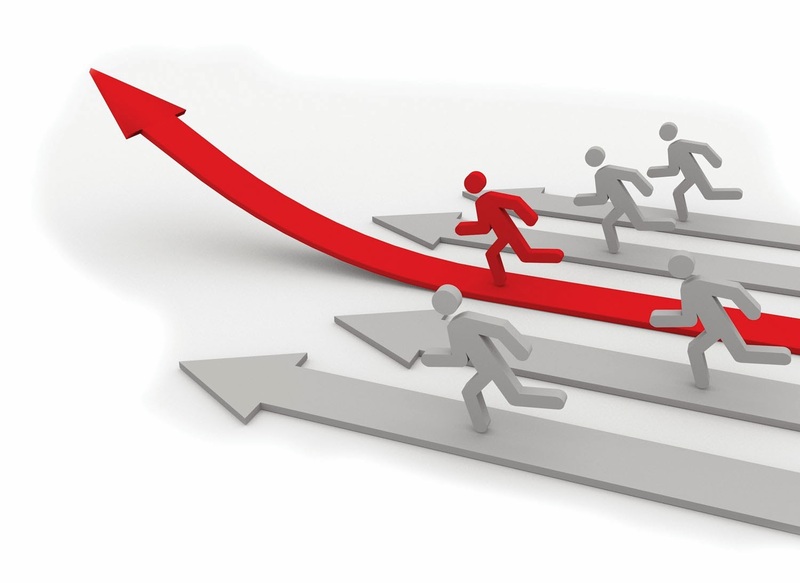 The word demand is important in leadership success. Demand is a negative word, since it assumes a critical lack of action or production. The best teachers and the best leaders are the most demanding people I’ve known-intelligently demanding. Don’t demand of people what they can’t do. Demand what they can do. Always remember that the people you lead are going to be satisfied with the minimum of what you demand. Maximum results come from maximum expectations-not unrealistic, but maximum. Tolerant people do not make food leaders. Successful leadership is being hard to please-and your players or employees or students know it. They will settle for what you tolerate. A great leader is an intolerant one. It isn’t just you playing hard. It’s you making other guys play hard. I can’t do it all. You’ve got to demand to other guys that they have to play harder. You’ve got to get on these guys. Recruiting was where demands had to start. 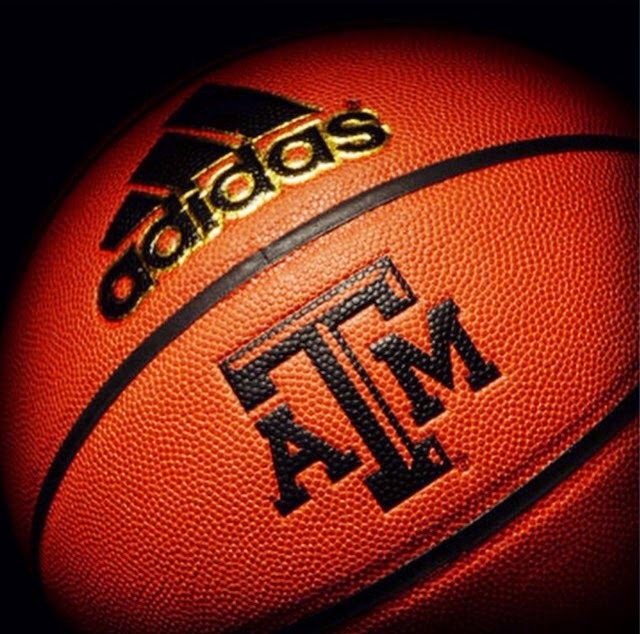 I was often asked what was most critical to me in evaluating potential recruits. It’s a good question, but not one that fits into any formula. First of all, I wanted players who were going to be the most difficult to play against, because of their athletic ability and the way I thought they could play defensively, learning and accepting my mistake-avoidance strategy. Then I thought about unselfishness. I also thought about skills. These kids were all good athletes, so their attitude was more important to me. Pat Williams and his book "The Magic of Teamwork." My competitors do more for me than my friends do. My friends are too polite to point out my weaknesses, but my competitors go to great expense to advertise them. My competitors are efficient, diligent, and attentive. They make me search for ways to improve my products and service. My competitors would take my business away from me if they could. This keeps me alert to hold onto what I have. If I had no competitors, I would be lazy, incompetent, and inattentive. I need the discipline they force upon me. I salute my competitors. They’ve been good to me. God bless them all. Birds of a feather flock together. The people with whom you habitually associate are called your “reference group.” According to research by social psychologist Dr. David McClelland of Harvard, your “reference group” determines as much as 95 percent of your success or failure in life. Who do you spend the most time with? Who are the people you most admire? Are those two groups of people exactly the same? If not, why not? Jim Rohn taught that we become the combined average of the five people we hang around the most. Rohn would say we could tell the quality of our health, attitude, and income by looking at the people around us. The people with whom we spend our time determine what conversations dominate our attention, and to which attitudes and opinions we are regularly exposed. Eventually, we start to eat what they eat, talk like they talk, read what they read, think like they think, watch what they watch, treat people how they treat them, even dress like they dress. The funny thing is, more often than not, we are completely unaware of the similarities between us and our circle of five. How are we not aware? Because your associations don’t shove you in a direction; they nudge you ever so slightly over time. Their influence is so subtle that it’s like being on an inner tube out in the ocean, feeling like you’re floating in place, until you look up and realize the gentle current has pushed you a half mile down the shore. If you haven’t already, jot down the names of those five people you hang around the most. Also write down their main characteristics, both positive and negative. It doesn’t matter who they are. It could be your spouse, your brothers, your neighbor, or your assistant. It’s time to reappraise and reprioritize the people you spend time with. These relationships can nurture you, starve you, or keep you stuck. Now that you’ve started to carefully consider with whom you spend your time, let’s go a little deeper. I’m constantly weeding out my life people who refuse to grow and live positively. Growing and changing your associations is a lifelong process. Most know that success can create problems. But few plan to handle the problems it causes. 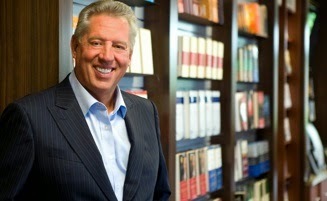 Here are some great thoughts in this regard from John Maxwell and his book "Sometimes You Win, Sometimes You Learn." · Been There, Done That: Some people hit a milestone, and they make it a tombstone. They get bored, lose their curiosity, and disengage. Don’t let that happen to you. · Success Guarantees Success: Just because you can do one thing well doesn’t mean you can do all things well. When you win, maintain your perspective. · The Momentum Myth: People’s natural inclination after a win is to take a break. Bad idea. When you’re winning, capitalize on the momentum. You’ll be able to do things that might otherwise be impossible. · One-Hit Wonders: Have you ever known someone who was successful once-and is still living off of it? It’s a good idea to build off of yesterday; it’s a bad idea to live off of it. · The Entitlement Mind-Set: People who have something they didn’t win for themselves start thinking they are entitled to more. That’s why many inherited businesses go out of business. To keep winning, you need to stay hungry and keep learning. 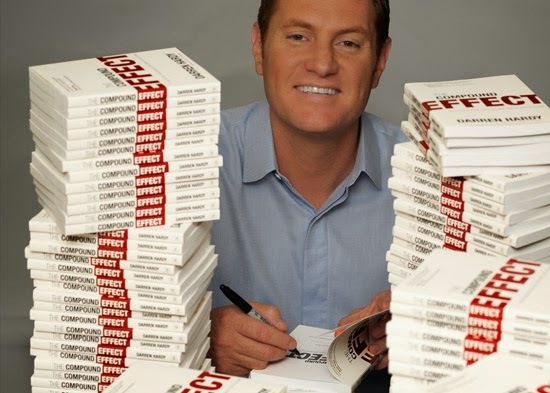 · Playing Not to Lose: After some people win, they become cautious and defensive. They worry about staying on top. Not wanting to do something stupid, they do something stupid; they focus on not losing instead of winning. It's not the first time and won't be the last but everyone should be following @JonGordon11 on twitter and certainly you've signed up for his email letter (click here and sign up in top right hand corner) -- incredible stuff to utilize with your team. And all of us who have been impacted by Jon are excited for his newest book to be released in May -- The Carpenter. 5. Put the Team First - Great team players always put the team first. They work hard for the team. They develop themselves for the team. They serve the team. Their motto is whatever it takes to make the team better. They don’t take credit. They give credit to the team. To be a great team member your ego must be subservient to the mission and purpose of the team. It’s a challenge to keep our ego in check. It’s something most of us struggle with because we have our own goals and desires. But if we monitor our ego and put the team first we’ll make the team better and our servant approach will make us better. 6. Build Relationships - Relationships are the foundation upon which winning teams are built and great team members take the time to connect, communicate and care to build strong bonds and relationships with all their team members. You can be the smartest person in the room but if you don’t connect with others you will fail as a team member. (Tweet This) It’s important to take the time to get to know your team members. Listen to them. Eat with them. Learn about them. Know what inspires them and show them you care about them. 7. Trust and Be Trusted - You can’t have a strong team without strong relationships. And you can’t have strong relationships without trust. Great team members trust their teammates and most of all their team members trust them. Trust is earned through integrity, consistency, honesty, transparency, vulnerability and dependability. If you can’t be trusted you can’t be a great team member. Trust is everything. 8. Hold Them Accountable - Sometimes our team members fall short of the team's expectations. Sometimes they make mistakes. Sometimes they need a little tough love. Great team members hold each other accountable. They push, challenge and stretch each other to be their best. Don’t be afraid to hold your team members accountable. But remember to be effective you must built trust and a relationship with your team members. If they know you care about them, they will allow you to challenge them and hold them accountable. Tough love works when love comes first. Love tough. 9. Be Humble - Great team members are humble. They are willing to learn, improve and get better. They are open to their team member's feedback and suggestions and don’t let their ego get in the way of their growth or the team’s growth. I learned the power of being humble in my marriage. My wife had some criticism for me one day and instead of being defensive and prideful, I simply said, "Make me better. I'm open. Tell me how I can improve." Saying this diffused the tension and the conversation was a game changer. If we're not humble we won’t allow ourselves to be held accountable. We won’t grow. We won’t build strong relationships and we won’t put the team first. There’s tremendous power in humility that makes us and our team better. 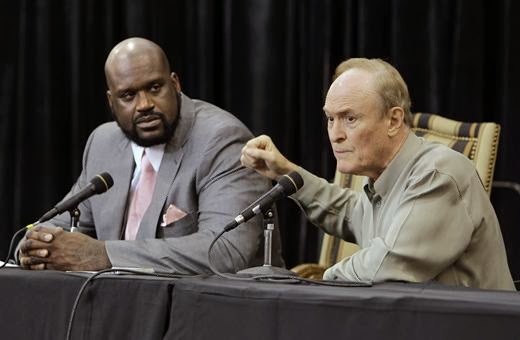 "His thing was - go to class, get your education," Shaq said as he introduced Brown as the recipient of the Colangelo Award. "I wanted to test his theory out, so one day I didn't go to class. About 4:30 the next morning I felt the hand of God on my chest. I looked up, and it was Dale Brown. I still don't know how he got in my room, but he did. Then he ran me from about 4:30 to 7:30 - and then I had to go to class. I said, 'You know what - I'll never miss class again.'" 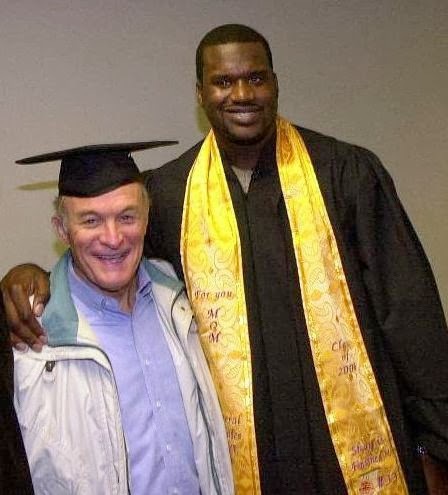 That tough love eventually helped Shaq believe in himself and conquer many demons, including forcing the now popular commercial spokesman for several national brands to attend speech class. "I brought him in and showed him his schedule," Brown laughed. "He said, 'Speech class - c-c-c-coach - I don't want to be in speech class.' I said 'Well, you're going to be.' To show you how conscientious he is - the first time he had to give a speech, he came to my office and asked 'Can you shut the door and turn off the phones? Will you critique the speech for me?' So I did. Next, he wanted me to go to class. He had the highest GPA on our team, which most people don't know." "The heart of a coach - at least my heart - is the relationship you have with players," said Brown. The above is are excerpts from an article at Fox Sports and was written by Jennifer Hale. You can read the entire article here. The following comes from "Finding The Winning Edge" by Bill Walsh. It's obviously directed towards the football position of quarterback but I've passed it out to our point guards down the years as well. Any sport with player that is a central figure, play caller, or leader would benefit from this as a passout. Functional intelligence. The ability of a player to organize and isolate different categories of tasks that he must perform in a particular situation is commonly referred to as functional intelligence. This ability is the key to being able to instantly process information on in highly stressful situations. Ability to learn. A quarterback must have the ability to develop and adhere to the proper mechanics for playing quarterback. For some athletes, the learning process will be intuitive—almost natural-requiring minimal effort on their part. For other individuals, the steps to understand and to ingrain these abilities will require more time and hands-on instruction. Willingness to improve. An inherent willingness to improve and learn is vital to the developmental progression of a quarterback. With regard to the learning process, a quarterback must have a reasonable level of compatibility with the coaching staff and his teammates. Good work ethic. Not only should a quarterback understand the proper mechanics for his position, he must also spend an appropriate amount of time working on them. The most effective approach in this regard is frequent repetitive practice. Emotional stability. A quarterback must have the ability to handle the stress and pressures that occur during the game. He must be able to control his emotions to a point where he can think clearly, evaluate his options, and act rationally, regardless of the situation. Leadership abilities. A quarterback should lead by example. In this regard, his performance during the game is crucial. While different quarterbacks will have different leadership styles, ranging from somewhat casual, not particularly demonstrative to vocal and very demanding, all successful quarterbacks exhibit the proper mind set, the necessary poise, and the absolute focus required for the position while on the field-characteristics which are often subsequently emulated by their teammates.